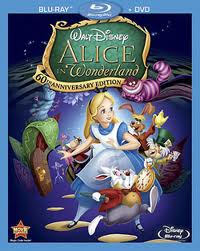 Just in time for it's 60th Anniversary, Alice in Wonderland is the latest classic that Walt Disney Studios Home Entertainment have digitally remastered and released on DVD and Blu Ray. I was so excited to sit down and watch this with Miss5 after how much she loved Snow White. So we put the twins down. Not literally. In the nap-time sense of 'put down'. We grabbed some snacks, and sat down to watch it on the laptop. Because the DVD player is dead (R.I.P babysitter extraordinaire). Miss5 went nuts over Tweedle Dum and Tweedle Dee. Although, that could be because she thought the characters were based on her father and uncle, as she has often heard me referring to them as Tweedle Dumb and Tweedle Even Dumber. 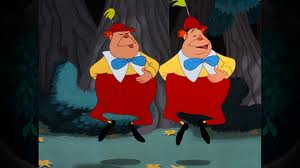 Miss5 has now started referring to the twins as Tweedum and Tweedee, which she thinks is freaking hilarious. Each to their own, right? What got me totally beside myself was the magical broom-toting dog. I so need to get me one of these to run around after me the kids. After a short intermission thanks to the Mad Hatter's tea party leaving me with a severe tea craving, we were back into it. Speaking of the Mad Hatter's tea party....is it just me, or does the tea-totalling Dormouse seem fairly zonked out for a tea-totaller? Anyway, Miss5 is now on at me to celebrate un-birthday's. She can't quite work out addition and subtraction, but she is sound on the idea of celebrating 364 un-birthday's a year as opposed to one birthday. Typical. So, after much laptop pulling and some seat-shoving for the best viewing position, I can safely say that - as with all the Disney classics - Alice in Wonderland has been a total hit in our house. It is so amazing to be able to share with my own kids, the exact classics I watched as a child *not so long ago* *cough / choke / splutter*. And, with thanks to Porter Novelli and Walt Disney Studios Home Entertainment, you can also win a copy of Alice in Wonderland - 60th Anniversary Edition on DVD and Blu Ray. Entries close midnight (WST) Saturday 2 July. Now I'm off for another nice cup of wine vodka tea. Disclosure: I received a complimentary review copy of the DVD courtesy of Walt Disney Studios Home Entertainment via Digital Parents. No financial payment was offered nor accepted for this post. All opinions expressed are purely my own. This is such a classic of a film. Still going after 60 years. I'm a fan on facebook and have shared. Thanks for a lovely giveaway. I follow parentalparody via Google Friend Connect, facebook & twitter. I have retweeted on twitter and shared on facebook. Following via Networked Blogs, Facebook & Twitter. I am the mother of (now grown up) twins and tried never to put them down even on the most challenging days. I always put them to bed- so much less ambiguous. A follower on facebook, Thanks for all your info! facebook, Everyone in my family has seen this except for the newest member, I'd love to own a copy, so she can watch it time & time again like we did. we have the book I know my daughter would love the movie. we're following. Connected, shared and now commenting.. phew now, like you im off for a wine.....um, erm tea! Following blog & shared on facebook and twitter. Have loved this movie since I first saw it. Shared and followed :)) My four year old son would love this! Following on google, facebook, twitter and shared on facebook and tweeted. My daughter would love this DVD her favourite book at the moment is Alice in Wonderland , a little golden book. Hi, I follow your blog via Google Friend ... Love this movie and will be a perfect solution to cold, wet days especially with the holidays on its way. 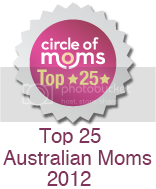 Follow the blog and facebook. 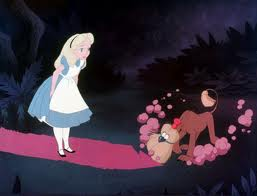 Alice in Wonderland is just so wonderfully imaginative. Ok so i think i may have just made it in lol... 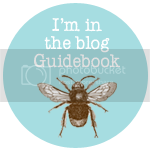 I follow via GFC and network blogs. Not to mention a fabulous babysitter! Congrats, please email me your address details so I can pass them on to Porter Novelli to send out your prize. Last chance to claim your prize. Please email me or respond to the Facebook page post by Thursday 14th July. Otherwise I'll have to re-draw the prize. The originally drawn winner hasn't responded in time, so you won on the re-draw. Please email me your full name and postal address, so I can have the prize sent out to you.